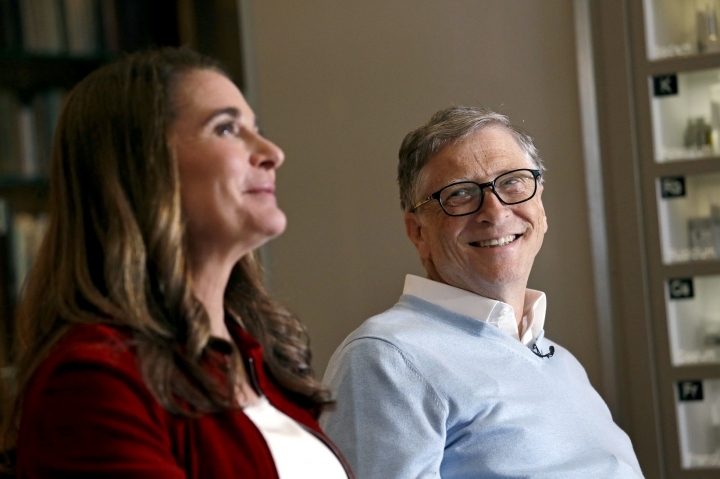 KIRKLAND, Wash. — Bill and Melinda Gates are pushing back against a new wave of criticism about whether billionaire philanthropy is a force for good. The couple, whose foundation has the largest endowment in the world, say they are not fazed by recent blowback against wealthy giving. It's come in high-profile moments at the World Economic Forum, the shifting political conversation about taxes and socialism in the U.S., and best-selling book "Winners Take All," which calls the influence of high-dollar giving an "elite charade." "I'm not sure that the attack has been on philanthropy. 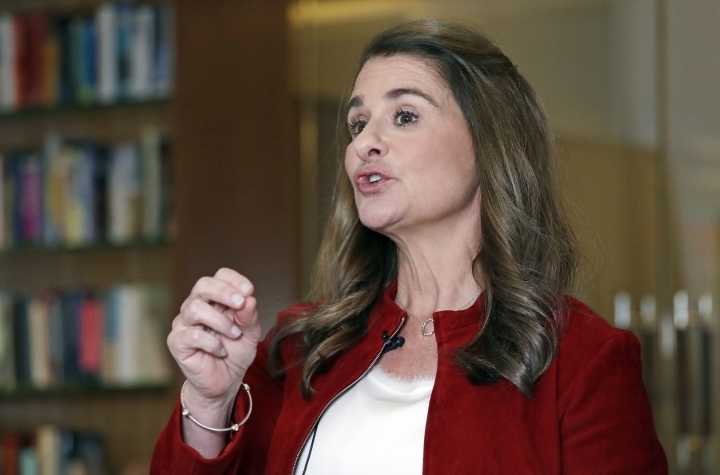 I think the attack has been on wealth," Melinda Gates said in an interview with The Associated Press last month. Some critics have long challenged the couple's nonprofit work, which relies on the tax-exempt fortune they hand to the Bill and Melinda Gates Foundation and involves directing how grant money is spent on issues ranging from global health and development to U.S. education and poverty issues. Though the foundation's worldwide contributions to combatting diseases like polio and malaria are indisputable, some see the couple's influence as unchecked and resulting in mixed success . The latest criticisms are more existential, challenging whether their level of wealth is good for society and whether it's functional to rely on the generosity of the very rich to fix its problems. People are more aware of how much the world's wealth belongs to the uber-rich. As a result, philanthropists' role in social change is facing a more scholarly review, said Stacy Palmer, editor of The Chronicle of Philanthropy, a trade publication covering nonprofits. "It's good that we all question it," Palmer said. "It makes philanthropists think harder about: 'Am I doing the right thing?'" 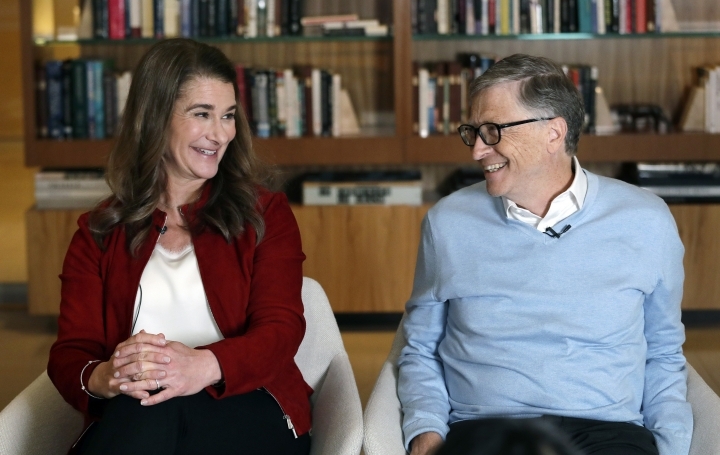 The latest criticism comes as Bill and Melinda Gates on Tuesday released their annual letter reviewing their work and vision, which this year focused on surprises in their priority areas. The couple called the record number of women who ran for elected office a major highlight of 2018. Melinda Gates lauded U.S. Rep. Alexandria Ocasio-Cortez for "opening our government up" on social media, though the couple say they don't agree with all her policy proposals. The Democratic socialist from New York has pushed a 70 percent tax rate on the richest people, which Bill Gates called "extreme" and a "misfocus" in an interview Tuesday with The Verge. Ocasio-Cortez has said it's immoral for billionaires to amass wealth amid extreme poverty but doesn't villainize Bill Gates. The Microsoft co-founder has long pushed for more taxes and created the Giving Pledge, which has 187 wealthy members committed to giving away most of their money. This division over wealth and philanthropy spilled into the World Economic Forum last month in Davos, Switzerland, where the Gates Foundation was a sponsor and Bill Gates discussed global health. On one panel, historian Rutger Bregman berated "all these stupid philanthropy schemes" and suggested such billionaire-funded giving amounted to tax avoidance that exacerbates the problems it seeks to tackle. "It feels like I'm at a firefighters conference and no one's allowed to speak about water," Bregman said. "Just stop talking about philanthropy and start talking about taxes." 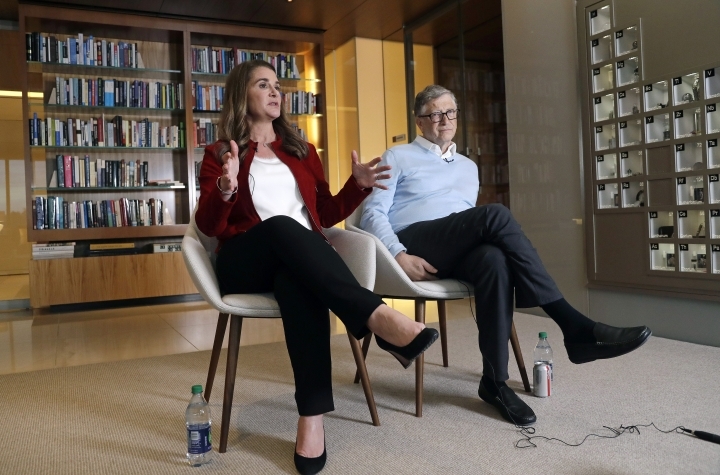 Melinda Gates said the couple see a responsibility to support other philanthropists who want to do good with their riches. "We take the converse side of that, which is we say: 'What can we do personally with our wealth? What can we role model for others, and how do we get other people of great wealth to give their money away?'" she said. The Gateses said they enjoy being a resource and host philanthropists every week at their sprawling Seattle-based foundation to share lessons from their successes and failures. They have offered guidance to a range of organizations, from the Chan Zuckerberg Initiative funded by Facebook CEO Mark Zuckerberg to the Stand Together nonprofit backed by conservative industrialist Charles Koch. That role has allowed the Gateses to position themselves to influence wealthy peers. The foundation said it's spent nearly $7 million over the last three years building up a nonprofit system to support both donors and grantees. They also have given money to other high-profile philanthropic organizations, including Bloomberg, Rockefeller and Carnegie. For philanthropists who work outside their agenda, they usually offer advice about overall organizational strategy and how to measure impact. 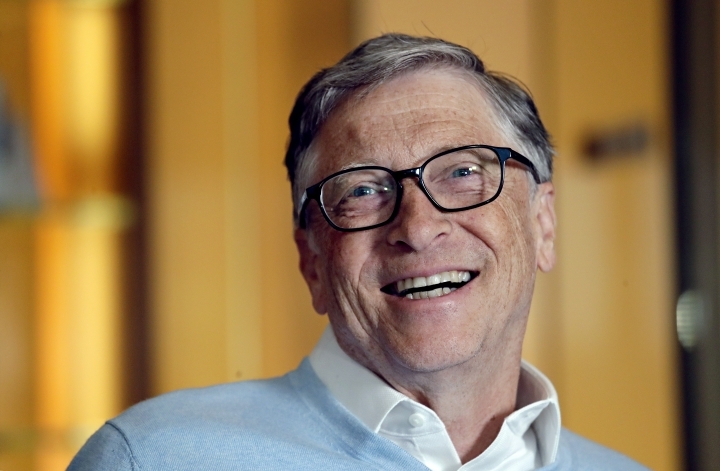 "The beauty of philanthropy is its diversity," Bill Gates said.